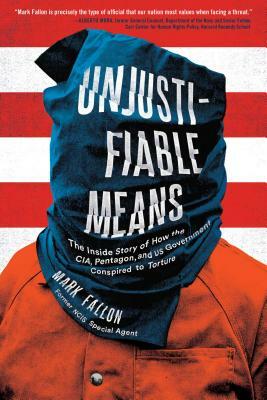 From a man who was there at the inception of the United States' torture program, Unjustifiable Means delves into the dark side of the United States government to reveal how our nation evolved to sanction evil. A true insider and a veteran NCIS agent, Mark Fallon was appointed the deputy commander of the Criminal Investigation Task Force (CITF) charged with bringing suspected terrorists to justice in the War on Terror. With the opening of Guantanamo Bay and the arrival of detainees, government agencies--including the CIA, Army, and NCIS--began infighting over whose jurisdiction the investigation fell under, and what the best method was for extracting information on al-Qaeda. Fallon has exclusive insider information on the decision to implement "Enhanced Interrogation Techniques," and the backchannels and deception employed to legalize these methods and hide them from the public's view. Hard-hitting, raw, and explosive, Unjustifiable Means forces the spotlight back onto how America lost its way and exposes those responsible for torturing innocent men under the guise of national security--individuals who have yet to be held accountable for their actions. Mark Fallon is an international security consultant and a career national security professional. He spent more than thirty years in government, twenty-seven of them with Naval Criminal Investigative Service (NCIS) and two as a member of the Senior Executive Service within the Department of Homeland Security. Fallon has spoken publicly and written extensively on the subject of criminal detention and interrogation procedures and continues to be a vocal advocate for human rights.